There may be nowhere in the country that brunches quite like Portland. Whether it’s serious comfort food, a robust cup of locally roasted coffee or bloody Mary’s with every fixing imaginable, we’ve got the brunch tour you have to take in the City of Roses. 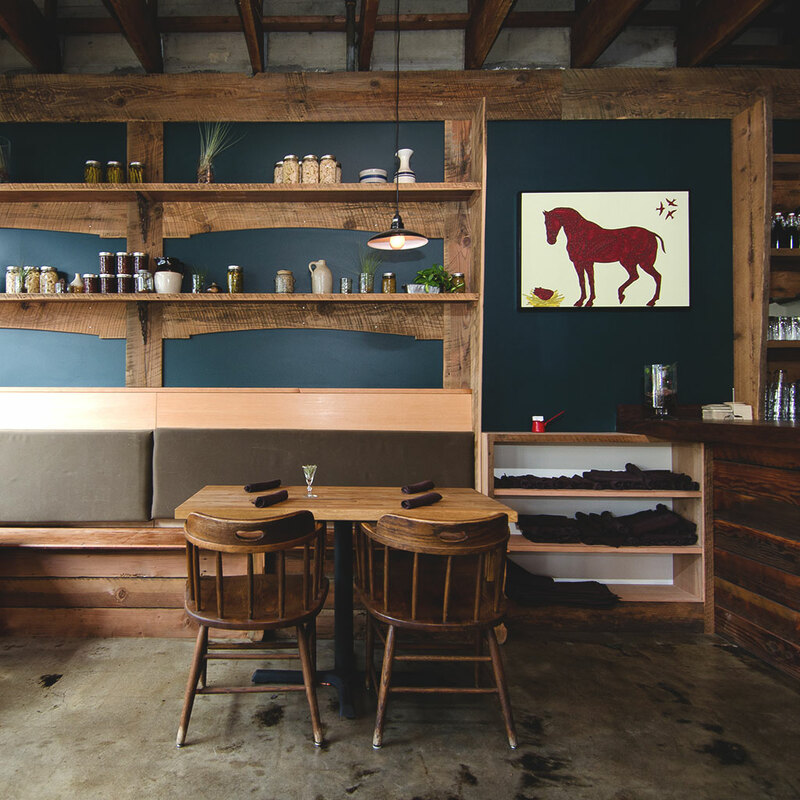 This cozy spot in Portland’s Montavilla neighborhood, serves comfort food in the form of hearty baskets of sweet cream biscuits and cinnamon rolls and lets you graduate to either eggs, brown butter oatmeal pancakes or, for more substantial lunch-y fare, an opened face meatloaf sandwich. Commence your brunch at Old Salt with something liquid like the Irish Breakfast mixing Extracto cold brew, stout, Bushmills and cream, then coat your stomach with an ample filling of tasty beef hash with potatoes and eggs and a side of braised greens. Chef Johnny Nunn does a hearty brunch at the friendly 36-seat Verdigris, with items like a meatball sandwich and braised pork cheek hash and sweeter plates like house-made ricotta pancakes. It’s also best not to skip the banana bread pudding. With it bustling communal tables, brandy milk punch with rum, vanilla and nutmeg and make-your-own mimosas flowing, Clyde Common has the boozy part of brunch down. For food, opt for entrees like the beautifully presented brunch board and kalbi short ribs with soft scrambled eggs, crispy garlic rice and kimchi. Trust us, they will keep you satisfied until your next meal. A good morning starts at this casual, no-frills downtown spot loaded with flavorful staples like house-made “Poptarts” (to make you feel like a kid again) to potato latkes with smoked salmon and a duck egg and a lovely sweet apple French toast with Chantilly cream and streusel topping. This well-respected vegan kitchen serves farm-fresh, Southern-accented food from a Southern-born chef (sans any meat or eggs in the house). Try the tamale with chicory salsa verde and the mouthwatering pulled trumpet mushrooms with sherry barbecue sauce, tomato gravy and chow chow. There’s something for everyone at the well-lit, white subway-tiled Swift and Union with delights like the filling Paul Bunyan including a heaping plate of biscuit, sausage gravy, braised greens and fried eggs, or a lamb burger with pesto, goat cheese on a brioche bun.